And this year, the design world has risen to nature’s challenge with spectacular razzamatazz. Only a few blogs ago I was visiting Decorex and Design Week in Autumn 2018, now camellias and daphne are in full bloom in our gardens and London Design Week is again in full swing. 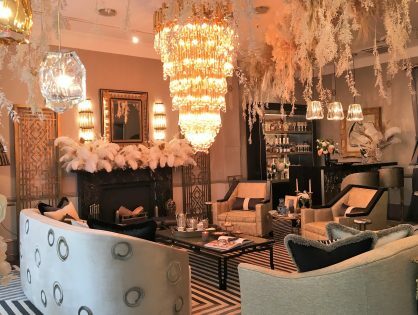 I visited the Design Centre in Chelsea Harbour to see what the new season has in store. 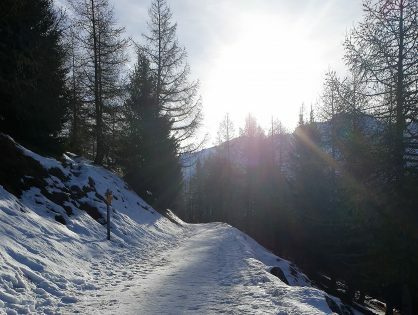 As we’ve all been reading on Instagram and hearing on the Sophie Robinson/Kate Watson Smyth podcast, wintry grey has had its day. 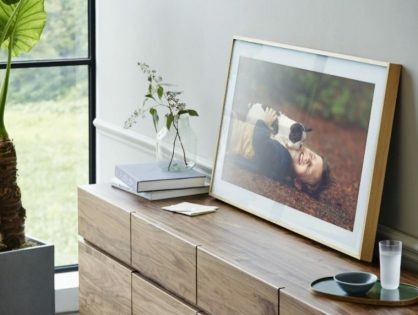 In comes beige (although no-one is calling it that – think wheaten and honey neutrals) or better still a vibrant mix of greens, yellows, pinks and oranges. Watch for these colours hitting the high street. 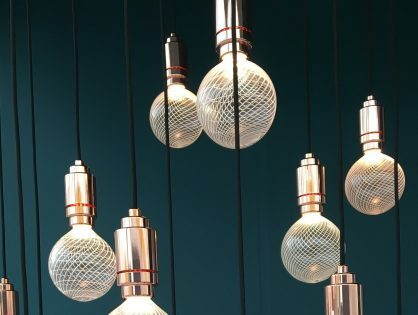 I’m loving both this word and trend, which has burst onto the scene like a chorus line in the last six months as many of us are daring to add more character and personality to spaces. I get the feeling designers and suppliers are loving it too and using it as an opportunity to showcase their skills at ornamentation. 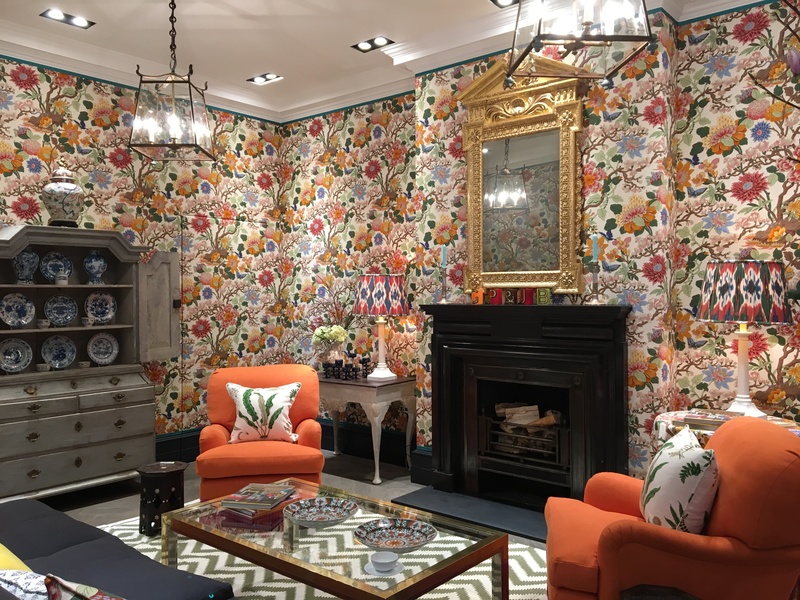 Embracing maximalism (with a theatrical hug) was this show-stealing pop-up sitting-room by Ben Pentreath in the G P & J Baker showroom. He takes their iconic Magnolia wallpaper as a starting point and adds his signature modern English style with bold colours in a classic setting. See how the orange armchairs with botanical cushions counterpoint the antique dresser and ornate mantel mirror, lifting the room firmly out of museum piece into contemporary glamour. 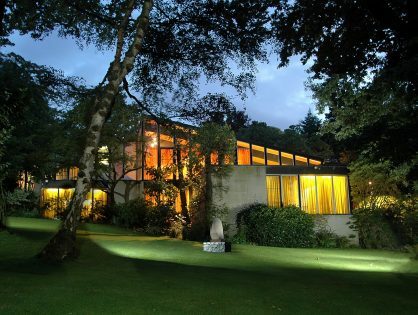 But minimalist influence still gives structure to a design. Texture and detail are key to keeping things interesting. 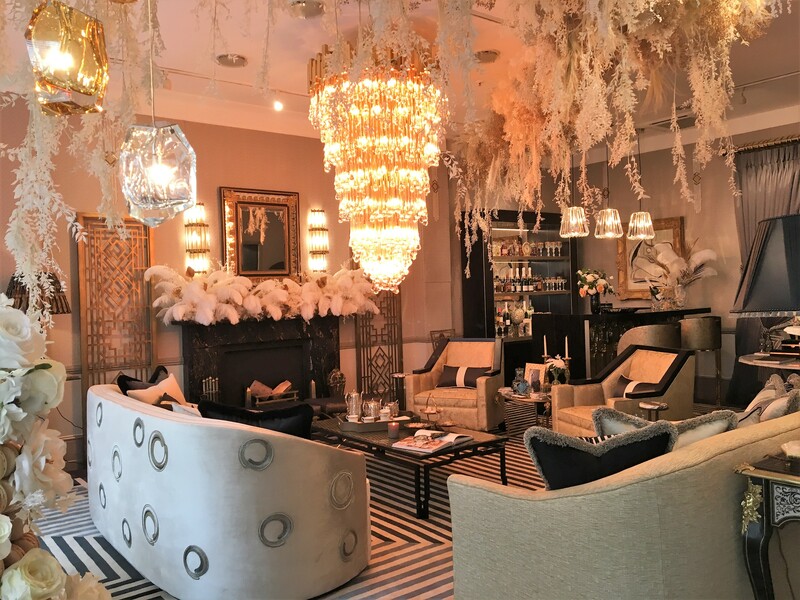 Take a look at the brilliant Gatsby Suite pop-up by Katharine Pooley in the Turnell and Gigon showroom. It exudes opulence and fun but is also a masterclass in tiny details that delight the eye. The chandelier focal point is mimicked by the cascading foliage and feather bouquets. The crisp lines of the Art Deco stationery holders echo the geometric rug. Wallpaper specialists Cole & Son have always had a superb maximalist range. They’ve long been the go-to designers for innovative, intelligent and theatrical flair, even more so now as they celebrate their ongoing collaboration with Fornasetti. 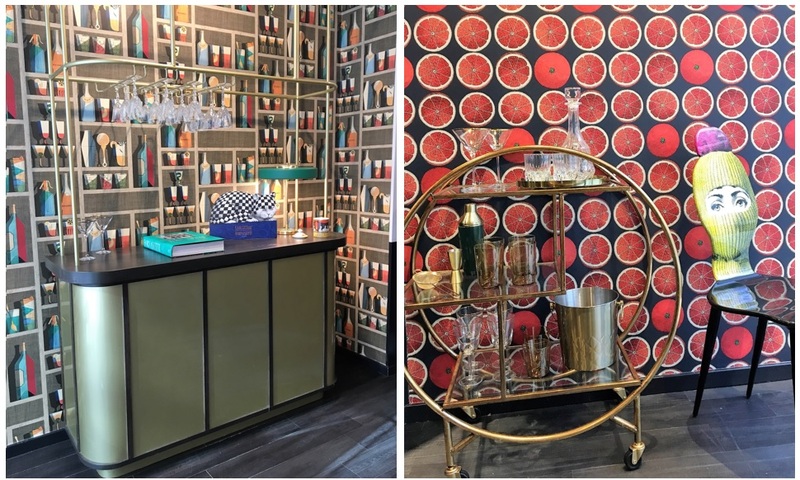 Their virtual drinks cabinet wallpaper might make a playful backdrop to your home bar. Or give zest to your dining area with their Mediterranean citrus range Arance, in ruby grapefruit, lemon and orange. The Fornasetti range is continually expanding, so keep your eye out, have fun and don’t limit it to the downstairs loo! Designers have long taken inspiration from nature. With the current trend for vibrancy, botanicals are really coming into their own. 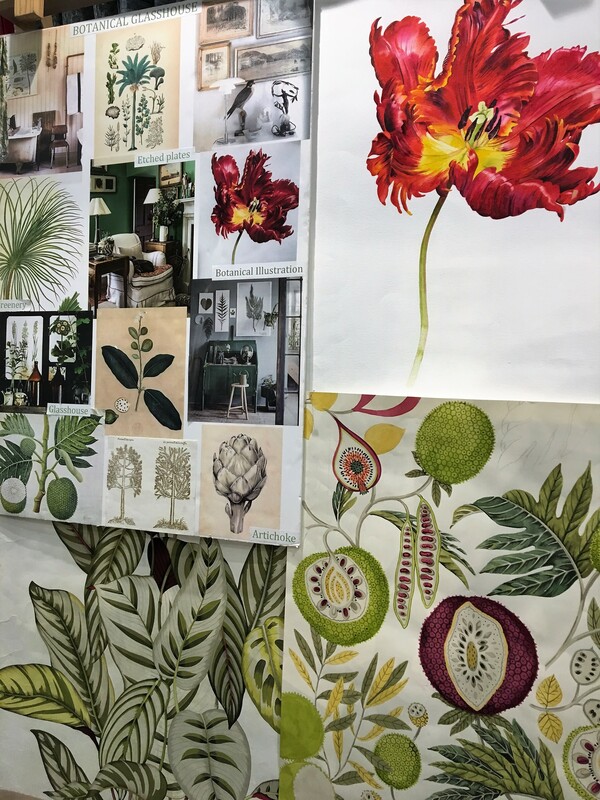 Sanderson, famously inspired by flora and fauna illustrations, have a new “glasshouse” range that’s not too traditional or country. Strong colour and super-sharp definition interpret the theme in a very current way. Here’s a design development board to give you a flavour of this new collection. You can find it in The Style Library showroom. The emphasis on skilled craftsmanship is as strong as ever. Rejection of fast fashion is spreading: the same principles now apply in interiors. 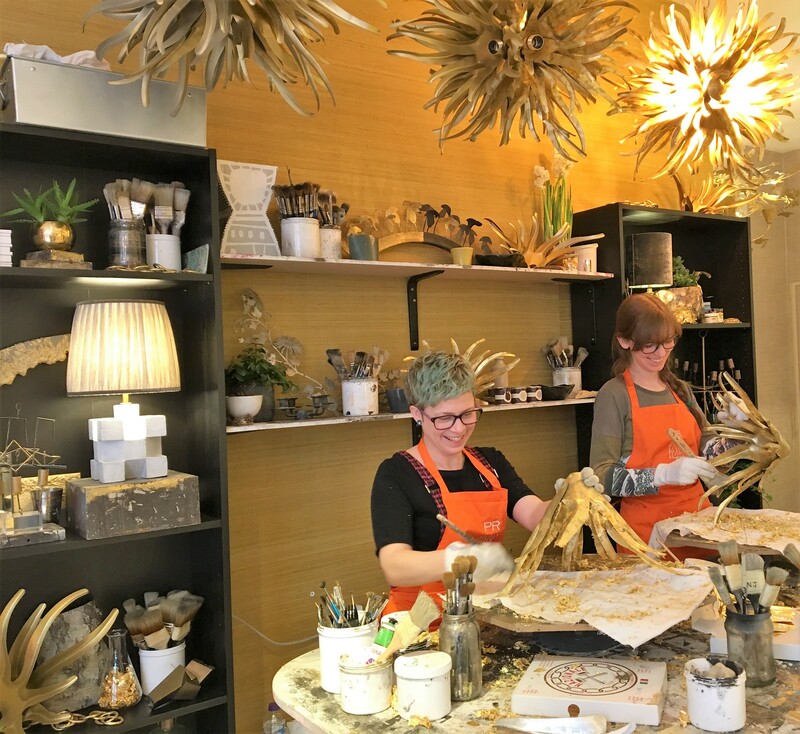 I came across these two smiling ladies, Vicky and Natalie, in the Porta Romana showroom taking designers through the art of hand-gilding the petals of an Urchin chandelier. You can see the finished Urchin light design above them. It takes about 30 hours to make one and 250,000 sheets of gold leaf go into each light. Their patience is admirable and they clearly love what they do. Vicky and Natalie, in the Porta Romana showroom taking designers through the art of hand-gilding the petals of an Urchin chandelier. Whether you’re a maximalist, a minimalist or somewhere in between, this season has style treats for you to indulge in. Even minimalists need to puncture their clean lines with vibrant focal points. If this is you, why not take inspiration from the maximalists with some fresh, flamboyant conversation pieces? And if you have longed for the return of rich patterns and colours, seize the moment: you’re ahead of the trend at last. Refresh your look with new textures and key pieces. This time round, maximalism is a celebratory statement of nature’s blazing colours and designs, interpreted with a flourish of glitz and glamour. Who couldn’t warm to that?